The documentary filmmakers at 2 Player Productions have been capturing New York's vibrant chiptune scene through digital video since the 2006 Blip Festival. Following the release of their full-length feature Reformat the Planet, they began branching out to explore a number of other realms of video game culture. Their visually compelling, musically rich video projects have explored the PAX concerts, game development at Naughty Dog and Sucker Punch, as well as the inner workings of the Penny Arcade office for PATV. Their next documentary, currently in production, will examine the making of the Swedish indie phenomenon Minecraft. Previously we have heard from videographers Paul Levering and Paul Owens on their documentation of the Blip Festival concerts and Penny Arcade Expos. With the release of Reformat the Planet on DVD, we caught up with team members Asif Siddiky and Gabe Liberti to hear how the motivations of 2 Player Productions have developed over time. As a filmmaker, what is it about performances of live chip music that draws you in? Asif Siddiky: I think it's evolved over time. During the first chip shows we attended, the novelty of it all was central to its appeal. I wasn't used to hearing those small sounds rendered on such a large scale (i.e. a Game Boy blasting through a performance venue's sound system) and I was really excited to see how all these vastly different artists were going to manipulate the same basic tools to suit their respective genres. On top of that (literally), you had the VJs projecting live video produced by similarly lo-tech hardware and it all came together as this unique, cohesive audio/visual experience that needed to be documented and shared with as many people as possible. As we became more familiar with the scene and the material, the focus shifted (appropriately) to the artists and the music itself. I know a lot of people aren't sold on the idea of someone pumping their fist on stage between "pressing a few buttons" but, for the most part, I think that's balanced out over the years. Some performers have either introduced more traditional live elements to the mix (drums, guitars, externally controlled effects, etc.) or they're just writing better music and no one in the audience questions the physicality anymore because they're too busy dancing, themselves. On the flip side, I also see it as a personal (and welcome) challenge to make something out of nothing when the artist isn't really performing outwardly that much�incorporating the projected visuals to create a more atmospheric video. But yeah, the end goal is to increase exposure so that people stop seeing it as a gimmick and begin to appreciate how full and rich this music actually is in a live setting. How did you first become involved in filming chiptune concerts at the Tank in New York? AS: Paul Levering had been listening to chipmusic for much longer than either Paul Owens or I. Already familiar with Animal Style and Nullsleep, he noticed they were playing a show together at an event called Pulsewave (hosted at one of the older locations of The Tank in Tribeca). The April 2006 show was the second installment of the series so we weren't sure what to expect. Needless to say, we were blown away and kept coming back with our cameras each month. After a while, it just became standard practice for us to be at whatever chip event was happening in the city and that sort of organically bled into us shooting the first Blip Festival. Are you able to put into words the kind of visual style you're intending to create at 2 Player Productions? AS: Our overall goal is to combine classic documentary technique with some more modern touches. We like to keep all the interviews as straightforward and true to life as possible. By omitting the elaborate lighting setups and digital backdrops, we actually feel as though we are in the space where these people work, making us feel more connected to what's happening on screen. That's why we tend to stick to handheld shooting using only available light. It more closely resembles a conversation you'd have with that person if you had just walked into the room. At the same time, if we see something in the environment that inspires us to do something a little more visually creative, we act on it and use those as transitions from one scene or topic to the next. It's a careful balance of representing reality and our personal interpretation of it. In settings like the PAX concerts, what's required to film as a team, so that your combined footage can be pieced together later in the editing room? AS: In a multi-camera concert scenario, it's important to work with operators that you know well and/or can trust to act independently without losing sight of the greater good. I've been fortunate enough to shoot with the same four or five people almost exclusively for the past ten years, so we've sort of sharpened our shooting styles to converge at the same point and it just becomes second nature to complement what we see the others doing. If I see Owens and I both going for the vocalist before the chorus hits and I can see that he's got the better angle on it for that moment, I'll adjust and whip over to the crowd in anticipation of their reaction. For the PAX concerts, we just divided the stage into different sections and rotated positions between sets. This way, everyone had a chance to offer a fresh perspective on that angle but they also knew what kinds of shots the others were getting (or couldn't get) from the other position because they had just been there themselves. By being so in tune with each other, we're able to give each camera feed enough variety so that when it's time to edit, each moment has four distinct things going on, not three shots of the same thing. With that much to choose from, the editing is easy... well, easier. As a sound engineer, what are some of the unique opportunities afforded to you in documenting chip music projects? Gabe Liberti: Usually when I go into a studio and I�m working with a band�let�s say it�s guitars, drums, bass, vocals�there is a familiarity with how those instruments will sound on a recording. Anyone who has listened to music for the past forty years knows the sound of a snare drum or an electric guitar. When I go into a studio with a Game Boy and a Commodore, no one has a clue of what that�s meant to sound like in that context. I have this incredible freedom to experiment in ways that people aren�t expecting. I have a lot of opportunities to surprise the listener. The documentary Reformat the Planet first began filming in 2006 and now has received a retail release on DVD. What work has been required in recent months in producing this ambitious film? GL: Back in July it was RTP all the time. It was pretty overwhelming because when the guys shot the movie, they really weren't paying too much attention to the sound. A lot of the concerts and interviews were recorded with built-in microphones on the cameras themselves. The end result was a little daunting! 95% of the concert material was totally distorted. The audio for these really incredible live performances sounded thin and straight up unpleasant. When we decided to make the push to get RTP out to DVD, it was my responsibility to take what was there and turn it into something audible. It's an incredible feeling to finally see it all printed up and wrapped in plastic! What were some of the gnarlier technical difficulties you were faced with while working on the DVD? GL: It made me pull out every trick I�ve learned up to this point in my audio career. Kplecraft uses saxophone and bongos, and on the recording the bongos were buried and mixed in with the 8-bit sounds. I was able to use a device called a multi-band compressor to isolate specific frequency bands and compress them separately. That way I was able to �grab� the bongos and apply EQ and compression independent of the higher frequency 8-bit stuff. It really helped me tighten up the low end. After some more tweaking, each instrument was infinitely more audible and clear. I�m really excited about the way that one turned out. How was the additional footage compiled for the extras section of the DVD? GL: 2PP has stockpiled so much chip footage over the years. Paul Owens absorbs it all and digests it. He was able to pull things from all of the Blip Festival concerts as well as many of the Pulsewaves for the special features. Once he had cut them together he handed them off to me for audio post-production. I hadn't been able to attend a lot of the events that they had footage from, so for me it was like Owens was unearthing lost historical treasures! I was able to clean up sonics and make them presentable. The film appears to have marked the beginning of 2 Player Productions as a professional documentary studio. Do you feel it to be a significant milestone for the group to see the movie released for retail? GL: Entirely. There was a point where I wasn�t sure whether it was ever going to come out. It had taken three years since it was first screened, but we all worked super hard on the DVD to make it right. Now that it�s on Barnes & Noble and Amazon, it�s for real. It�s not imprisoned on hard drive in a bedroom closet. In comparison with high energy settings like music concerts, how do you go about making mundane surroundings like the Penny Arcade offices compelling to look at? Asif Siddiky: When we're in an environment like that, most of our attention shifts to making the piece compelling to watch before making it compelling to look at. That puts a lot of the responsibility to be interesting on the subjects, but we can amplify that by keeping the shots a little bit tighter on people's faces than usual. Because so much is communicated by the subtleties of our expressions, having that kind of proximity to the subject makes the viewer feel more personally connected. In a way, it's refreshing to have nothing else to look at because there's nothing to distract you from what someone is trying to tell you. On PATV, you've also covered the Child�s Play Charity and vignettes following employees at the Penny Arcade offices. What interested you in branching out into these stories that diverge from the making of the webcomic itself? AS: It's a more honest depiction of what Penny Arcade actually is. Mike and Jerry's posts and comics may be the public face of the company but there's a whole office full of fascinating people with interesting backgrounds that make that machine what it is and keep it running. By exploring those other avenues, we felt as though it would give the fans a more complete picture of the world in which the content they love is created. On the Penny Arcade documentary, you're very casual about breaking the fourth wall, revealing a cameraman or sound guy in the shot. What are the advantages to this style of filmmaking? AS: The presence of a camera crew always has an effect on the subjects they're observing so why not embrace that? In some ways, it adds a welcome layer of texture when they interact with us (even if it's just staring into the lens for comedic effect). It just makes it feel more human. Also, there may be some incredible moments that you catch on camera that have an operator or a boom mic in the shot and you don't want to have to lose it because the shot was "ruined." Acknowledging our presence just makes the whole thing feel more honest. It may not work for every single project but I think it worked well in Penny Arcade and Reformat the Planet. Did you find it enjoyable to be in an environment where there's often so much humor? AS: Yeah, it ends up not feeling like work at all. It may cause the cameras to shake with uncontrollable laughter sometimes but I think it went a long way towards improving the observer/subject relationship. If you compare the first episode of the series with the last, there's no way they would have been as open with us for the "Family" episode if we had done that one in the beginning. 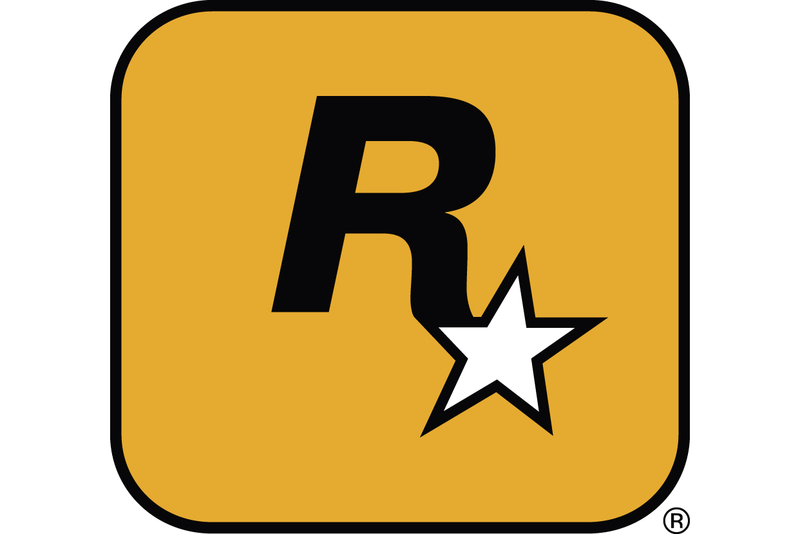 You�re now filming behind-the-scenes features on game development, including InFamous, Uncharted 3 and Minecraft. Does it appeal to you to be exploring the subject of game design in such a wide a variety of settings? AS: It�s not something where once you�ve filmed with one studio you�ve said everything there is to be said on the subject. Each studio brings something unique and compelling that�s worth sharing with people. There�s such a huge disconnect between the developers and the fans of their games. We really feel the need to bridge that gap, creating that same relationship between artist and product that is enjoyed by those in the film, music, and literary industries, to name a few. That�s only going to help the industry as a whole. Even smaller studios can see how they operate at Naughty Dog or at Sucker Punch, and be inspired to apply those philosophies to how they work. Looking ahead, do you see it as a priority to have independence as a studio, to choose your own subjects? AS: I would hope that would be the end goal for anyone making documentaries, to be a free agent and cover the things that are most interesting to you. That�s when you put your best work forward. 2 Player Productions released the 2008 Blip Festival Live Album. Being focused on the audio side, how would you describe your work on that product? Gabe Liberti: When I saw edited videos from Blip �07, I was blown away by the energy they were bringing in their video content, but the audio fidelity was seriously lacking. For Blip '08, I wanted to properly capture the audio with the same level of quality found in the camera work. Once we had a little capital to work with, I built an entire audio rig specially designed for Blip �08. It gave me the ability to do multi-track recordings with great sounding pre-amps and microphones. The Bell House had surprisingly good acoustics, so I hung mics from the wooden trusses to get a huge room sound. I also placed mics on the crowd and all the live instruments on stage. Once I had those tracks, I brought them back to the recording studio at NYU and mixed it on an old analog console. I sat there for nights on end hacking through the tracks. By the end I had 32 songs, one from each artist, that captured the energy of the live performances. Were you interested in including crowd reactions, screaming, other ambient audio? GL: Very much so. The idea was that you would be in the best seat in the house for the whole festival. We had the dry tracks by themselves, but I really wanted it to feel live. Back to back the transitions are seamless, so as each song finishes, it sounds like the next artist is right there pressing play on his Game Boy. Have you found it enjoyable to trace Anamanaguchi's path as a music group over the years ? GL: Absolutely. At this point I�m living with Pete Berkman. We�re in the same room, so he'll plug into my speakers and bang out new tracks on his netbook. To hear the material he is working on now, compared with Dawn Metropolis, it�s a complete paradigm shift. There�s influences from the Beach Boys, Brit pop bands, Jpop bands� he�s working every day to create the perfect pop song. When you see them live you realize how far they've come as a band. They are so tight! I cannot wait for everyone else to hear the new tracks! You�ve also been working with Paul Owens' duo The Shortsleeves doing audio and photographs. What opportunities has that presented? GL: When I was living in Portland, all of us from 2PP were living in the same house. On the first floor was Paul Levering and Asif. On the top floor were me and Paul Owens. We got to working on the Shortsleeves stuff, which was a relaxing labor of love. Paul and Jen are in a relationship together, which makes it an emotional project for me. They�re always so grateful that I�m contributing. It makes it a super-positive experience. Another interesting musical project that you�ve been involved in is Random and Covox's one-time performance together as "Condom." Are you interested in making that media available to people to listen to? GL: Yes! At Blip �09, rumors were forming that Random and Covox were collaborating and would be giving a performance as �Condom.� Going into it, I assumed that it was going to be a straight-up joke. But when they took the stage, the tone was new and powerful. While recording it, I could not believe how much attitude they brought to the performance. It could have been this funny one-off thing, but instead it became an insanely worthy creation. When it came time to figure out what to do with the audio, we thought it would be awesome to do a special release of the Condom set. We had it mastered in the UK at a place called the Exchange where huge electro records get mastered. The tracks came back sounding brilliant. We�re going to have a vinyl release in addition to digital very soon!